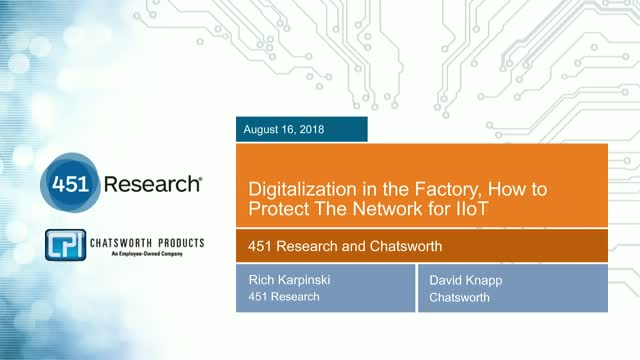 This presentation presents recent survey data from 451 Research [VOTE product] on trends in Digitization of the Factory from the perspective of Operational Technologists. Top use cases for the Industrial Internet of Things (IIoT) and the current project focus of IT/OT teams will be discussed. Followed by a discussion of how to protect your technology investment in non-traditional environments, including extending the network onto the factory floor, the wireless overlay, and the addition of compute and storage resources on the site (edge computing).